A symbolic stone for a milestone birthday: these silver and pearl earrings are set with cherry quartz, representing romance, happiness and compassion. 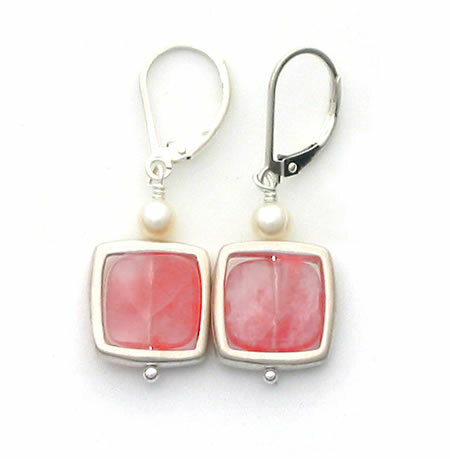 San Francisco jewelry designer Philippa Roberts has created these unique square earrings, cherry quartz set in sterling silver, with a mere drop of freshwater pearls. They hang 1-1/2 inches.